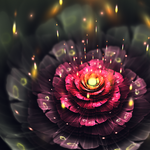 yes, it's a tweak of my "crystal rose" and "seasonal whispers" fractals based on ~skellorg's tutorial. editorial rights for this artwork belong to Arnoldo Mondadori Editore. © Arnoldo Mondadori Editore per l’uso in editoria. To me, this is an example of taking a popular, widespread style, and then doing it with so much finesse, craft, attention to detail, and sheer quality that even abstract-loving curmudgeons like myself can't help but be astonished. In fact, I think the progression from Crystal Rose to Seasonal Whispers to here demonstrates it well. 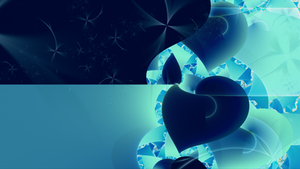 Crystal Rose is a good fractal, but the patterns are less naturalistic, more obvious to the eye. Combined with the mostly monochromatic color scheme, it's nice to look at once, but it's not one of those fractals that reveals any hidden depths if I revisit it. ...THIS one is the cream of the crop. It seems that you have taken the "frill distortion" and toned it down a bit, which makes it look more natural to me. Kind of like how if you zoom in on a pattern so you can only see part of it, you might be able to tell there is a pattern, but you won't be able to pin down exactly what it is. Then when you zoom out, you can see the whole pattern and it's not as interesting. By scaling up the frill distortion, you have made it a bit more mysterious. And then there are the floating orbs of light (lightning bugs or fairies, depending on the whimsy of the viewer ). They too manage to LOOK more random than they really are. This is the secret to achieving a "natural" look to a computer generated image I think. The colors are more interesting, and they "interact" more than the ones in the previous incarnations, I think. Also, the spokes/rays are less pronounced so that they still grab the eye, but they don't keep it from noticing all the other focal points. And last but not least, the soft focus is the cherry on top, cementing the dreamy atmosphere. 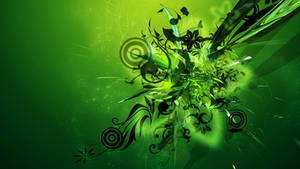 So, WONDERFUL job taking a common style and pulling out all the stops to achieve an uncommon result! Such artistry is rare. 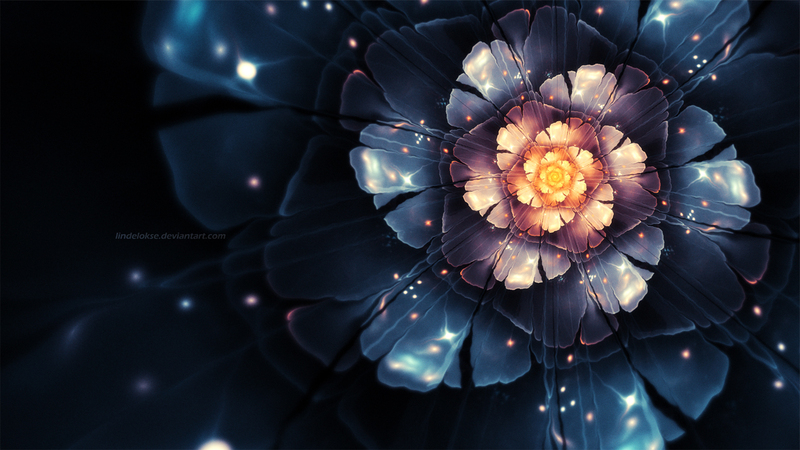 This is one of the most beautiful wallpapers I have ever come across. You should be proud. Not to mention you took the liberty of giving Numerous resolutions for people like me who are either too lazy or stupid (or a little of both in my case) to figure out their screen size. Truly a magnificent piece. If anyone disagrees, they should get their eyes checked. Well, beauty is in the eye of the beholder I guess. The color is absolutely astounding and the effects truly bring it to life! 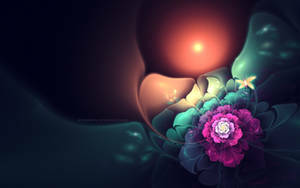 I would love to know what program you used to make this. 201 out of 208 deviants thought this was fair. Wow! Wonderful piece you have here! 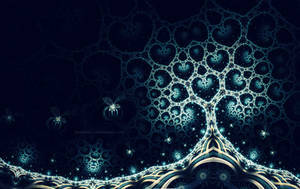 This is so beautiful...this peice radiates finesse, and a sense of calm...LOVE THIS! Today I discovered your picture on a t-shirt. Thanks a lot Renate, I'll try to contact them to get it removed! 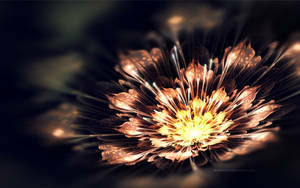 I didn't know Apophysis could be used to create such lovely stuff! Well done. FarDariesMai has said it perfectly. This is a beautiful piece, well done! Very nice artwork! I like the colours very much! Awesome artwork! Do you mind if I use this for a song cover? I'll credit any artist links you want if so. The crystal rose is so bueatiful! !